Karachi Ramadan Timings with complete month of Ramadan calendar of Karachi Sehr Time & Iftar Time. Find here today’s Karachi Ramadan Fasting time. Karachi ramzaan timings are mentioned here. These timings are accurate. And we follow it in every ramzaan. Although there is no need of this schedule in Peshawar as there are so many mosques there. Karachi RAMADAN TIMING 2019 - Find Ramadan (رمضان) Calendar and Timetable 2019 along with Today's Sehr-o-Iftar Time of 23 Apr, 2019 (18 Shaaban 1440 ). Karachi Ramadan Timing is as follows: SEHAR Time: 04:41 am and IFTAR Time: 6:59 pm. 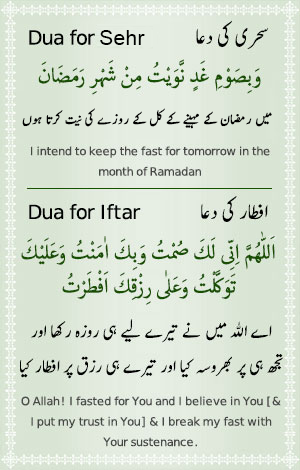 According to Fiqa Jafria Sehr o Iftar Time as follows: SEHAR Time: 04:31 and IFTAR Time: 07:09 . Hamariweb.com designed Ramadan calendar especially for Karachi Ramadan Timing 2019 for all fiqh and sect. The variation of a term is different in languages and regions are as follows: Ramadan is called in Arabic رمضان or Ramadhan, in Urdu it is called Ramazan and in Turkish as Ramathan, Muslim also call Saum, Roza or Siyam. It is the ninth month of the Islamic calendar and the month in which the Quran was revealed. Search Karachi Ramadan Timing for fasting during the month of Ramadan in Pakistan, it’s of the Five Pillars of Islam. The month is spent by Muslims fasting during the daylight hours from dawn to sunset (also called sehri / Suhur and iftar time). Karachi Ramadan Timing Calendar – Karachi is the city of lights and the most populous city of Pakistan. Being the premier financial and industrial center this city has a significant value. Located on the Arabian Sea, the city is the home to two largest seaports; Port Bin Qasim, and Port of Karachi. The population of Karachi according to Sindh Bureau of Statistics is estimated to be 19.1 million. It is the most religiously diverse city of Pakistan. Numerous minorities and sub-sects of Islam reside in this city. Islam is the dominant religion with 96.5% population, 2.49% of Christians and 0.86% of Hindus live in Karachi. As far as Islamic sub-sects are concerned, Karachi is the home to 65% of Sunni Muslims and 35% of Shia Muslims. Karachiites can access the accurate Ramadan Timing Calendar for Sehr o Iftar online on this page. Karachi Ramadan Timing Calendar page offers you daily Sehri and Iftar timings. It also provides you Karachi Prayer Timings on regular basis. Karachi Ramadan Timings timetable is made according to the lunar calendar for the entire month of Ramadan. Exclusively designed according to the geographic location of Karachi city, this Karachi Ramadan Timing Calendar Schedule 2019 is applicable for the Karachiites for the holy month of Ramadan. Find complete Ramadan timing Calendar (fasting schedule of Sehri o Iftar for the year 2019) for Karachi with date, the day of the week, and Sehri and iftar time. We offer Ramadan timings for both Fiqa Jafria & Hanafi. Find the complete Ramadan timing calendar with Iftar and Inteha e Sehr according to Karachi city. The Ramadan schedule 2019 has been presented for all major cities of Pakistan.